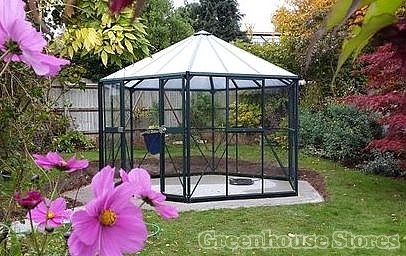 3800mm (12ft 6") Wide Aluminium Greenhouse - Spacious and Practical. 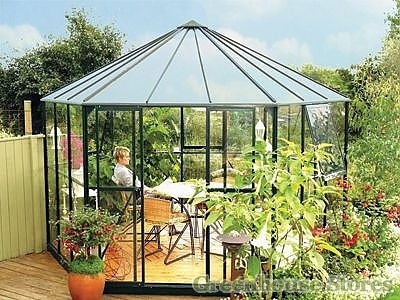 6mm Twin Wall Polycarbonate - In the roof to retain heat. 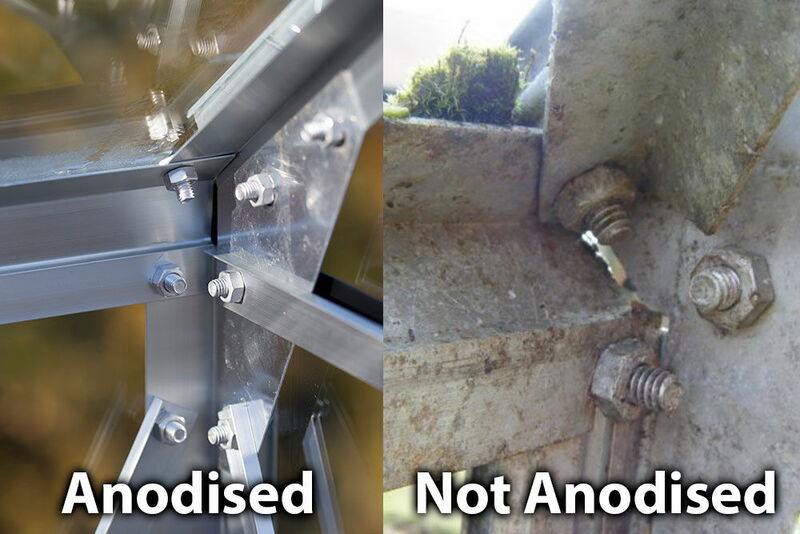 Glazing Bar Capping as Standard - No more fiddly glazing clips! 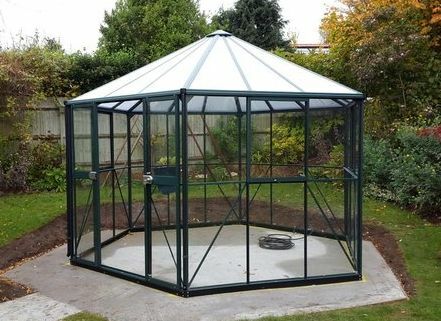 Optional Galvanised Steel Base - Gives Rigidity, Strength and adds 60mm height. Double Sliding Doors - For Easy Access. 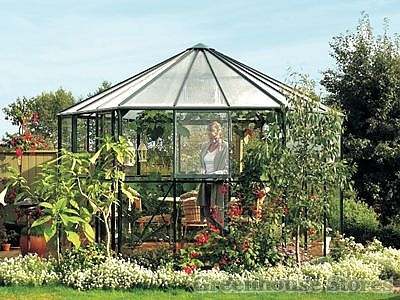 3 Opening Side Windows - For Ventilation. 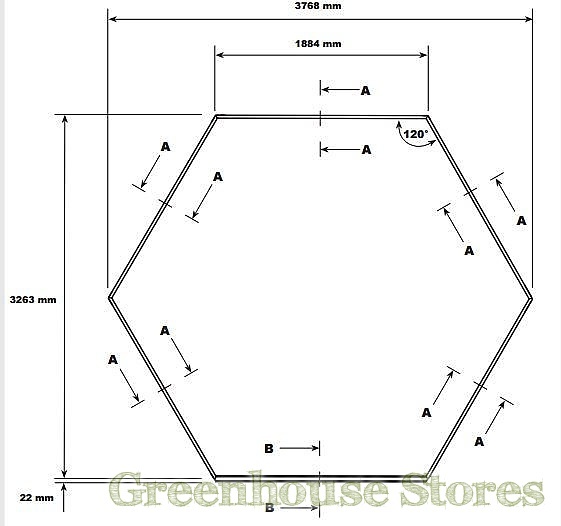 The 11ft x 12ft Vitavia Hera Hexagonal Greenhouse is a very spacious and elegant structure with high eaves of 6ft and 9.0m2 of growing space ! 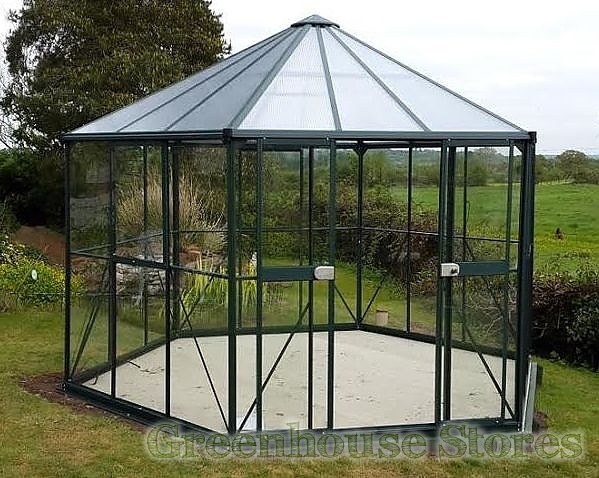 The Vitavia Hera Greenhouse is a superb model that is just as capable being used as a greenhouse or simply a lovely sunroom to relax in ! This Hera has a 3 opening side vents for ventilation, a smooth sliding double door and integral gutters to collect all that rain water we get in the UK !